Impact rated titanium coated bit with 1/4" hex shank optimised for impact drivers. The 135° tip angle reduces tip walking and allows a precise start. The flute design allows for faster material ejection and decreases heat build-up for more efficiency. 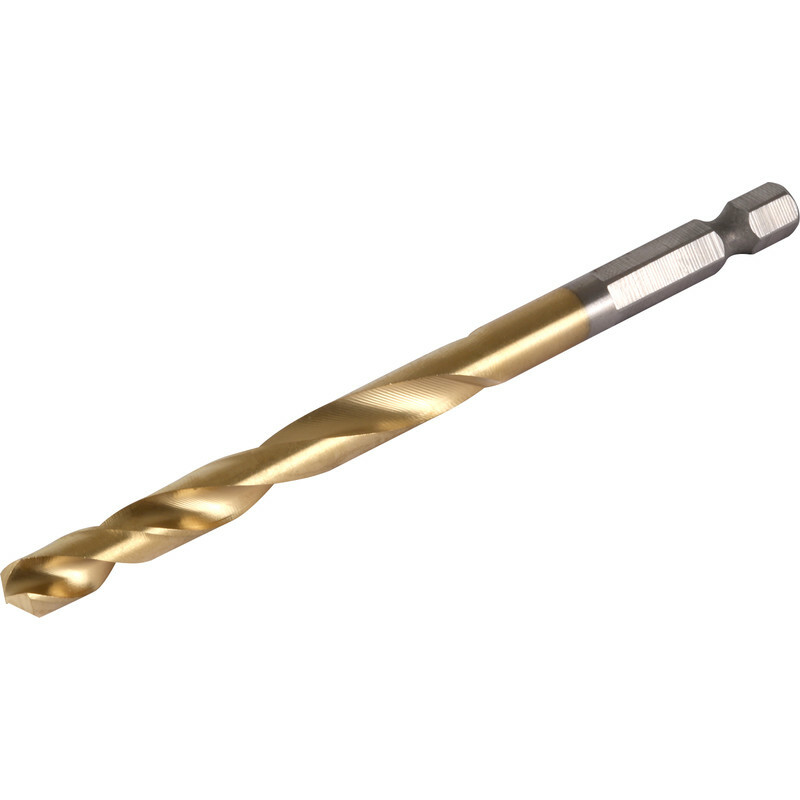 Milwaukee Shockwave HSS-G Red Hex Impact Rated Drill Bit 5mm is rated 4.7 out of 5 by 6. Rated 5 out of 5 by Anonymous from Ideal for pilot hole, just need a screw driver Exactly what I needed as I didn't have a drill with me only a battery screwdriver and needed to drill a pilot hole. Also it was delivered pronto. Rated 4 out of 5 by Troy7 from Solidly made I bought these to replace similar items broken in use. They haven't had a lot of use as yet but are standing up well to rough treatment. Rated 5 out of 5 by Parcel from Shank drills I bought these the other, although slightly shorter than the previous Erbauer drills.They are well made an fit into a bit holder, so suffice.I don't know why the Erbauer ones were discontinued, they were cheaper as well. Rated 4 out of 5 by sasani from Excellent product The drill bit is very good quality and it arrived promptly, the only negative is the packaging. It was shipped in a box approximately 15x15x20cm.. whereas it could have just been sent in an envelope. Rated 5 out of 5 by Ed dy from Quality Quality drill bits.Very happy customer.Would buy again.